Denne listen har jeg lånt fra bloggen www.sonoma.com. Den er nok noe USA-orientert, men har også med viner laget for og i Europa. Sideways – An instant classic that earned lots of Oscar buzz, this comedy tells the tale of two friends touring the vineyards of Santa Barbara, and the misadventures, romances, and bonding that ensue. 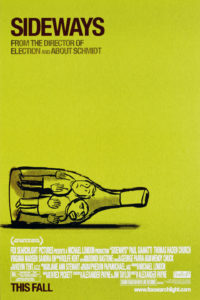 The film essentially defined wine tourism in the 2000s. 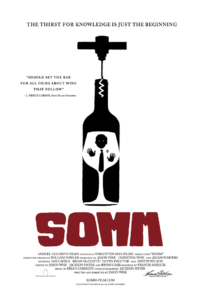 Somm – This documentary follows four wine lovers who are attempting to get certified as Master Sommeliers, an honor that has only been bestowed on 220 people around the world in the past four decades. 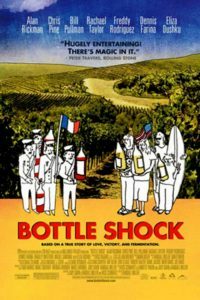 Bottle Shock – This whip-smart film is the (almost) true story of how California wine became the burgeoning industry it is today. In it, a father-and-son team fight to beat French competitors in an international tasting contest in the 1970s, and turn the wine world on its ear. A Walk in the Clouds – Set in always-scenic locale of Napa Valley in the years right after World War II, this movie entangles a returning soldier, played by a young Keanu Reeves, a unwed pregnant woman, and her overbearing father. 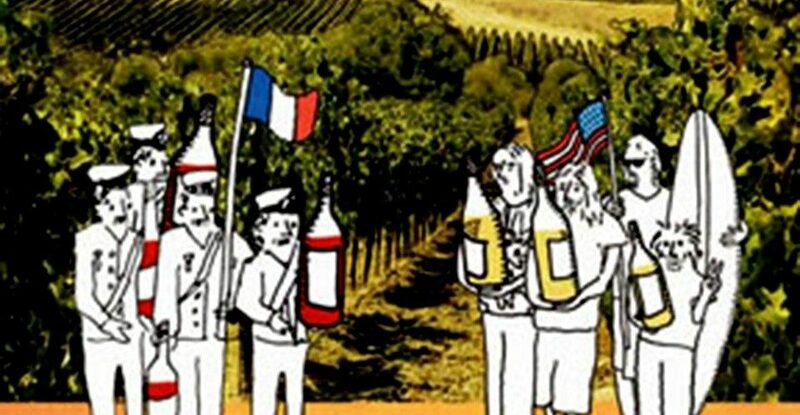 Wine for the Confused – Light-hearted and hilarious, this documentary (hosted by British comedian and Monty Python alumnus John Cleese) doubles as a brilliant introduction to the world of wine for beginners. The Secret of Santa Vittoria – This sweeping war movie is about Italian townspeople hiding a million bottles of wine from the Nazis during World War II. The film features fantastic shots of the sunny Italian countryside that will have you clicking for plane tickets in no time. 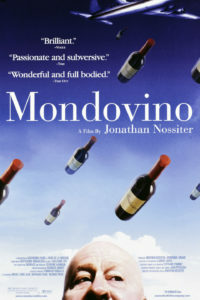 Mondovino – Wine is now a worldwide obsession, and this documentary explores how globalization and international capitalism is affecting the art and craft of wine. Cement Suitcase – This funny and slightly bizarre tale revolves around a wine salesman who finds out his wife is cheating on him. He strikes up a friendship with the other man, and goes on a giddy cross-country adventure. A Good Year – A beautifully shot romantic comedy about a hard-driving investment banker, played by Russell Crowe in his heyday, who inherits a French vineyard and is enchanted by a young Marion Cotillard. A Heavenly Vintage – A great journey into magical realism, this tale follows the quest of a French peasant attempting to become a master winemaker in the 1800s. He gets some help from angels along the way.